We're booked on the Cap Finistere for this Saturday sailing at 20.30. The weather is looking as though it could be quite rough depending on what the low does over the next few days. 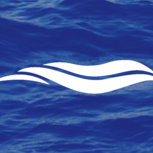 We are considering moving our booking to the Baie de Seine crossing next Wednesday and just wondered what that ship is like especially if the sea is rough. The weather is looking ok for next week so far but don't want to rearrange and then find ourselves worse off. We normally travel on the Post Aven and generally have been very lucky with our crossings but the last few have not been good so we're trying to avoid another 24 hours of lurching about and feeling horrible. 'Seaworthy' may not be the best choice of word there... I'm pretty sure all the BF ships are seaworthy! 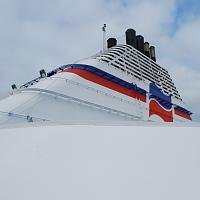 If the Bay of Biscay is rough and you’re anything but Captain Ahab then it’s going to be unpleasant, BDS seems ok but I’m sure you will notice a massive difference if you’re comparing it to Pont Aven , as Jim implies if it’s too bad the captain won’t sail so whatever you go on you will survive. And BDS's sailing was abandoned mid-way last week (after being diverted due to a medical emergency) as it was apparently deemed to rough to sail. Meanwhile the CF and PA ploughed on as usual. Ed. That’s assuming it was a decision solely based on sea conditions. Indeed. Tony intimated at the time that the Captain made the correct decision which I guess suggests the conditions were close to operational limits. But there may well have been other factors at play. Ed. I don’t Tony’s comment was anything other than a personal opinion Ed. I can’t imagine that the conditions were anywhere near the safe operational limits of the vessel - if they were anywhere near that bad, the ship would not have got anywhere near sailing from Portsmouth in the first place. My interpretation of the captain’s (good) decision was that things had become so uncomfortable for the passengers (and perhaps close enough to what the passengers were happy to endure, especially given their knowledge of whatever happened to the injured passenger) that the captain decided that the passengers had had enough. That is very different from suggesting that the vessel herself was close to safe limits. I saw 'Baie de Seine' enter Portsmouth at lunchtime today (Tuesday), by the time she left at 16:50, she was 8 hours late. My dad's sister was due to sail on 'Baie de Seine' this coming Thursday, a sailing which has now been cancelled. 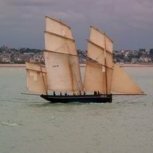 She has been transferred to the 'Mont St Michel' sailing from Portsmouth to Cherbourg on Thursday at 22:45, works out great for her as there's less driving to her home in France. OK, so let's say safe operational limits for passengers moving around the vessel in such rough conditions. Ed. Worth noting, When BDS left Brest, she didn't continue to Spain, she went back to Portsmouth. At the time of writing that the Captain made the correct decision, I assumed that the ship was going to Spain. Half the problem with BDS in rough seas is her open deck, vehicles are more prone to damage. It's the time of year when many motorhomers and caravanners start heading south, the latter can easily be blown off an open deck in high winds particularly the more modern styles which weigh very little and even on the semi sheltered stern of CF motorhomes have been known to slide on a wet deck due to direct contact with high winds. The paradox is that due to her lack of superstructure she behaves well in high winds plus she's narrow and deep just like the Cap' so being just as stiff, rolls in a very similar way. On board I suggest she's not as user friendly for those of us who are less mobile, both the Cap' and Pont' are more suitable. In rough seas the cf is the best in the bf fleet,has for the open decks on bds I find it hard to believe a motor home or any other vehicle could be blown overboard.the side of bds are high and to me this would prevent this from happening.i was on the cap Sunday night or should I say early hours of Monday (2-15am)it was lumpy all the way to roscoff but it calmed down and we arrived in bilbao on time. I agree, CF is my 1st choice heading to Spain. Nodwad the sides of BDS' open decks are only a standard railing and a modern 4 berth caravan weighs less than 1.5 tonnes, due to strict kerb weights modern mid sized hatchbacks and SUV's can't tow anything heavier, they're easily moved by hand without the need of a motormover and are very easily moved on a wet pitching deck in high winds. On board the Cap' in 2015 I don't think the owner of the 5 tonne tag axled A class Dethleffs was too impressed either when I accosted him for his insurance details as the rear of his pride and joy had slid nearly a metre into the front of our PVC breaking off the passenger wing mirror and smashing the passenger door window not to mention the damage to his offside rear GRP panel my passenger door. That little adventure cost his insurance nearly 2 grand just to repair our Renault god knows what the coachbuilt bill was. It happens, in the immortal words of Aldous Huxley, you pays your money and you takes your choice. 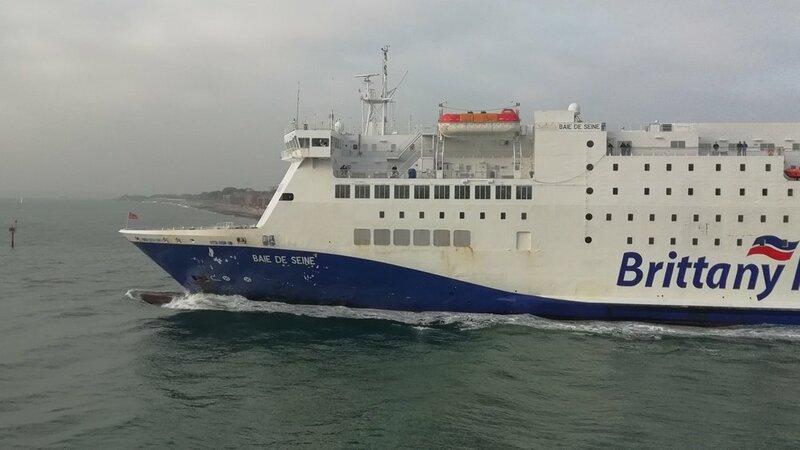 In her DFDS days the open deck seemed to be exclusively used for trailers (and it was usually packed with them on the 'unprofitable' Harwich-Esbjerg route), I wonder if any were ever lost when she was on the North Sea? A full 40ft container on trailer weighs 30 tonnes, I doubt she'd lose any of those unless it was particularly rough, mind you it's not uncommon for container ships to lose them in the channel. They all lock together as part of the intrinsic design of the container system. But I don’t think there is any additional chaining. To be honest, I think it is rare for containers to be lost in the English Channel - it rarely gets rough enough. But out in the oceans it is a different matter, and loss of containers in the oceans is not uncommon. Sorry, I was referring to trailers on ferries rather than containers on freighters. Ed. Oh right, sorry. Yes they will chain them. Do you remember the pictures of Riverdance on her side on Blackpool beach? The chaining did a remarkable job of keeping the open-deck trailers secured to the deck for days, even though the deck was vertical. There is additional chaining. Usually crossed turnbuckles. I'll find an article or something similar later. And yeah. Trailers and artics etc are always lashed. Even if the sea is like glass. Indeed. And not primarily to stop them falling off, but mostly to stop them shifting. The need to stop them shifting applies equally to heavy trailers in the main enclosed car decks. (Shifting cargo was, after all, what led to Riverdance getting into trouble in the first place). Yep the turnbuckle eyes are part of the deck plating, the ones I've seen attached to HGV's look like mini acrow props. Wheel chocks stop forward and back motion but the crew can only deal with the possible lateral movement of the heavy trucks. I think in most cases the crew are a bit snookered as apart from wheel chocks there's nothing for them to use on motorhomes and caravans, there's no visible articulation for them to attach to and even normal motorway turbulence created by overtaking moves them around a fair bit, suspensions are a bit on the bouncy side too. Let's not forget the mess Epsilon's internal car decks were in when she sailed and everyone else stayed at home.